Multiple reports suggest that up to ten MLB teams—a full one-third of them—are showing strong interest in signing free-agent pitcher Nathan Eovaldi. Of course, his post-season (mostly) bullpen heroics have elevated Eovaldi's value—although he would prefer to return to a full-time starting role. The teams that have reportedly expressed interest in the big Texas righty are: the Brewers, Angels, Phillies, Braves, Blue Jays, Padres, White Sox, Giants, Red Sox and, you knew this would be the case, the Yankees. 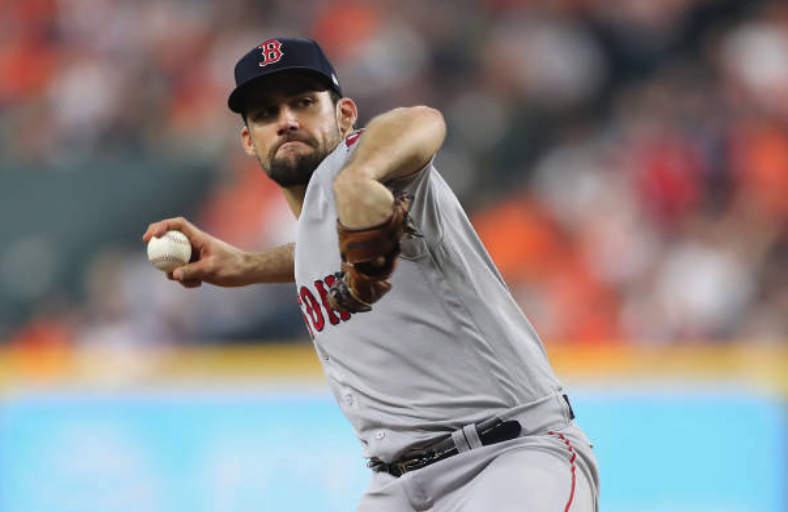 Some teams have actually shown a desire to make Eovaldi a closer—and, assuming the departure of Craig Kimbrel—Boston might be one of those teams. Stay tuned!